Lauren McIntyre’s research is at the interface of genetics, genomics, and statistics, with a focus on understanding the genetic basis of complex phenotypes and phenotypic response to environment: the difference among infectious bacteria, Drosophila gene expression, and responses of crop plants to climate change. With the wealth of genomic data (whole-genome sequence, high-throughput gene expression analysis), it has become possible to study the genetic basis of many challenging traits. Recent new technology and big data require novel approaches to utilize this information in a meaningful way. McIntyre strives to develop statistical approaches that promote insightful biological inferences and make the next step in experimentation clear, using novel computational tools that make the results available in an easily accessible format. To illustrate McIntyre’s approach, her research focuses on transitioning from descriptive studies to predictive studies, which is a crucial step if genomic technology is to fulfill its promise. Her topic of study is the effect of alcohol on movement and courtship in fruit flies, a species with a long history in genetics research. She is modeling gene expression networks that are activated in response to exposure to alcohol in one species, and then testing whether these networks predict behavior in another species. Should this be the case, network structure can be directly related to phenotypic effects, without the need to validate individual alleles. McIntyre’s work will provide proof of principle that genetic network predictions in model systems are translatable. This results in an anticipated practical implication that the identification and testing of novel therapeutic targets can be expedited significantly and a practical identification of gene networks affected by alcohol. Recently, McIntyre has become interested in metabolomics. 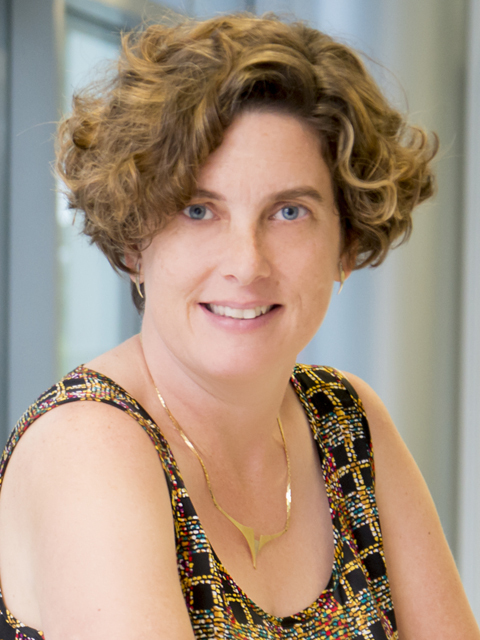 As the Director for Bioinformatics of Core 4 for the newly funded NIH South East Center for Integrative Metabolomics, she is building expertise in the analysis of metabolic data, and will be working on incorporating these data into the larger genotype-to-phenotype map.